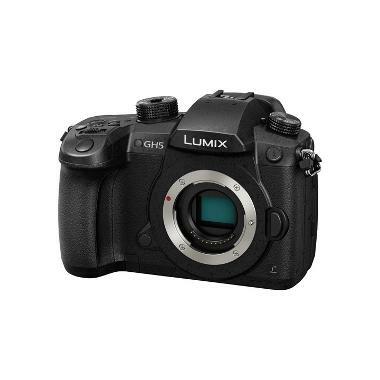 For a version of this camera with unlimited internal capture of 4:2:2 10-bit C4K video recording, please see the Panasonic Lumix GH5S Micro Four Thirds Camera. The Panasonic Lumix GH5 Micro Four Thirds Camera improves on its predecessor, the GH4, with silky smooth 4K 60p/50p shooting, internal 4:2:2 10-bit recording (with the option for simultaneous live signal feeding to an external monitor or recorder), dramatic slow motion in Full HD up to 180 FPS, and built-in rack focus transitioning. Multiple picture styles are available to provide a more gradable image, such as CINELIKE V and CINELIKE D, as well as an in-camera LUT to make monitoring easier. Installed in all of our GH5 cameras is the V-Log L gamma, giving you a flat profile that provides the highest dynamic range possible for this camera and also allows for better color matching to other systems using standard V-Log. Go to the Picture Profile menu and you will see V-Log L listed as an option. 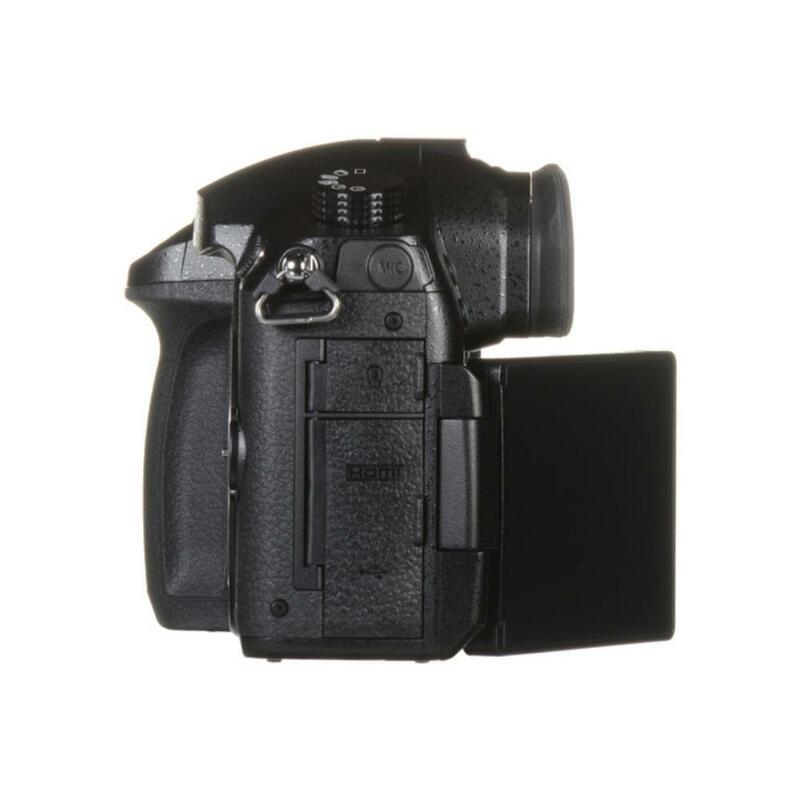 • A speedier and more accurate Advanced Depth From Defocus autofocus system that can lock on in just 0.05 seconds (and enables continuous shooting up to 9 FPS with continuous AF). • 6K PHOTO mode at 30 FPS and 4K PHOTO mode at up to 60 FPS. 6K/4K PHOTO is a high speed burst shooting function that cuts a still image out of 4:3 or 3:2 video footage. • Post Focus, which gives you the power to focus after you've taken a shot. Simply capture the scene, review the image and touch the part of the photo you'd like sharp. Set and save. Similarly, a Focus Stacking function enables you to adjust the focus area after shooting by blending multiple images taken at different focus distances to create an amazing image depth of field. This is great setting for macro photographers. The GH5 lacks an optical low-pass (anti-aliasing) filter. Under normal shooting circumstances, the optical low-pass filter prevents the instance of moire patterns from showing up in your images of tight-patterned objects, such as fabrics. The benefit of removing these anti-aliasing properties for the GH5 is maximum sharpness for RAW files. Enjoy 225 focus points, which can be controlled easily via a tactile joystick and use the camera anywhere thanks to complete weather sealing. 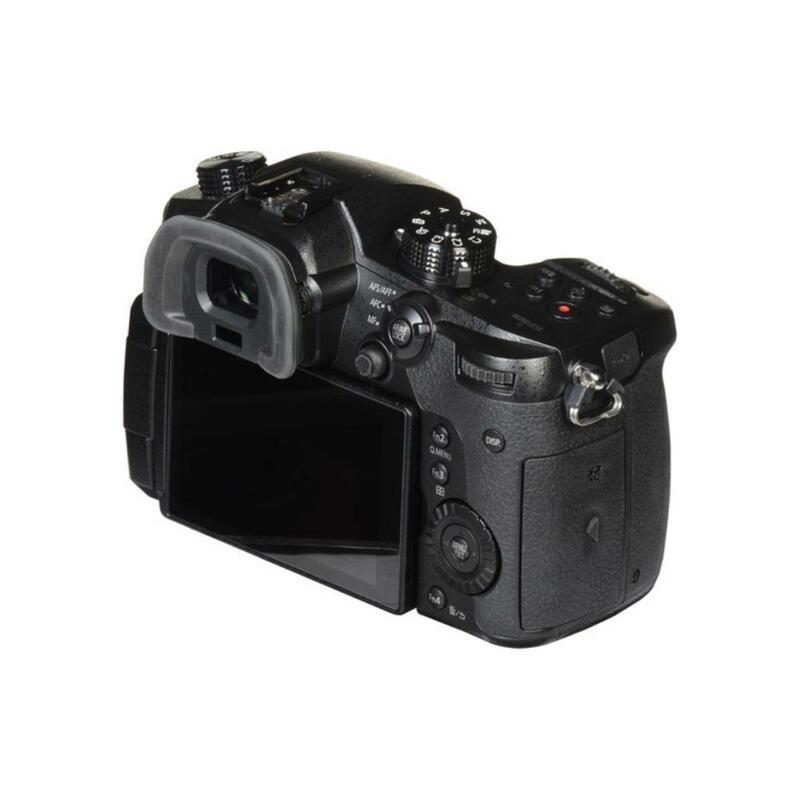 The dual SD card slots provide peace of mind for immediate image backups and the large OLED Live View Finder allows you to see everything from settings to shot details without taking your eye away from the camera. For further control, pair the GH5 with your smartphone to transfer data, control shutter, and start/stop video with the help of Panasonic's Lumix app for Android and iOS. The GH5 provides exceptional hybrid performance in both photography and videography and is ideal for multimedia artists, outdoor shooters, and videographers on the go. • If you are going to be recording in 4K you will need SD cards rated for 100MB/s or faster. We recommend the SanDisk 64GB Extreme Pro 280MB/s SDXC Class 3 UHS-II Memory Card or the Lexar 64GB Professional UHS-II 300 MB/s SDXC Memory Card. 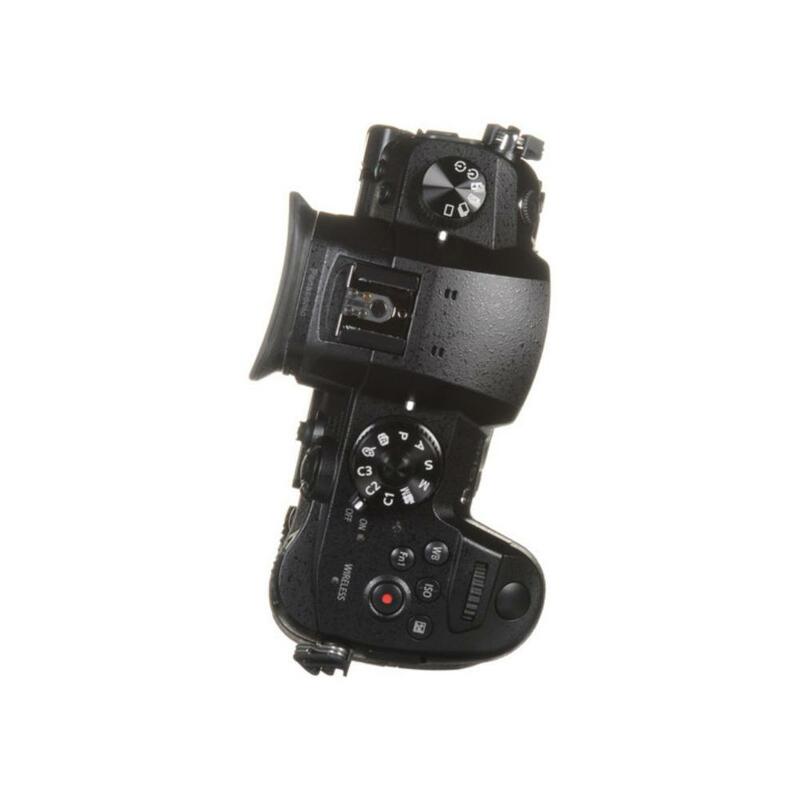 • Continuous video shooting is possible up to 150 minutes (settings and media dependent). • High-resolution Anamorphic Video Mode included.